FG propose 24k minimum wage, denies approving N30k with labour leaders - SWANKYLOADED OFFICIAL BLOG. The Federal Government has denied entering into an agreement with the organised labour to increase the minimum wage from N18,000 to N30,000. On Tuesday, the president of the Nigeria Labour Congress (NLC), Ayuba Wabba, was quoted to have said that the Federal Government and the Labour leaders had agreed on N30,000 as the new minimum wage which will soon be announced. 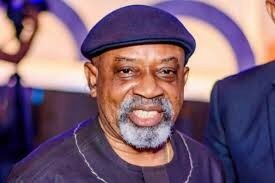 According to Ngige, when the Federal government and the labor unions met to deliberate on the new minimum wage on October 5, after the NLC had called off its nationwide strike, “the organised labour came down to N30,000, the organised private sector came down to N25,000”. He said the government was still consulting and negotiations is ongoing.